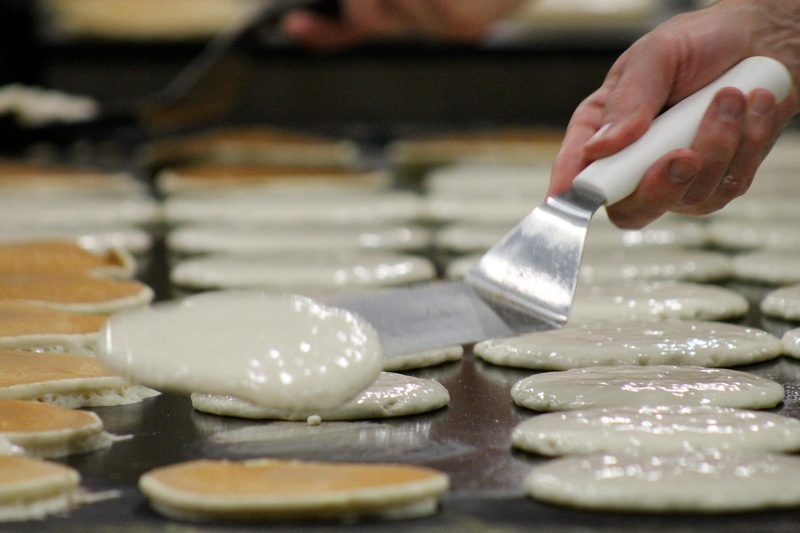 A reminder that the Monroe Lion's Club will be serving up all you can eat pancakes this Saturday, December 3rd from 7am-12pm. Presale tickets can be purchased from any Lion for $6.00 or $7.00 at the door. You'll find your plate & yummy Bob Evans sausage at the Monroe High School cafeteria! Be sure to bring the kids and grandkids and your camera because Santa will be making a special appearance from 8-Noon! In keeping with the Monroe Historical Society tradition, the Society will have a table set up for the kids to write their letter to Santa! Forms will be available to fill out or you can bring a letter from home & drop it off in Santa's special mailbox. Don't forget to include your child's address because the Society's secret elves will again be helping Santa write a personal letter in return! Our THANKS to the Lion's Club for letting us take up a bit of their space for this fun & heartwarming activity. It's always very special to us to read & respond to the letters. Santa promises to do his best to grant all requests! (P.S. the elves always appreciate donations of postage stamps.